For the second time in little over a month, the Liverpool crowd left the Echo Arena disappointed after Tony Bellew could only muster a draw against Isaac Chilemba in the final eliminator for a shot at the WBC light-heavyweight title. The result may not have been as dramatic as David Price’s shock second-round defeat to Tony Thompson at the same venue, but it raises serious questions about Bellew’s standing in the world order. Amid his dubious claims that he was prepared to die in the ring and that he would ‘smash Chilemba from pillar to post’, the 30-year-old admitted his opponent would be his toughest to date. The Malawian had lost just once coming into the fight, a six-round points defeat he immediately avenged, with the only other blemish on his record a controversial draw with the still-unbeaten Thomas Oosthuizen. In the space of 14 months between 2009 and 2001, Chilemba took on three other unbeaten fighters and inflicted points defeats on each. He was, in other words, no mug. Bellew’s promoter Eddie Hearn has made it clear that he favours the maneuvering of his fighters into the mandatory position to force a fight with the world champion. In theory, that should pit the best two challengers together but in the case of Kell Brook, his dominant win over Hector Saldivia suggested that is not always the case. But while Saturday’s contest was not always pretty on the eye, it will be a wake-up call for the likeable Scouser. ‘Deep down I could have done more,’ he admitted. ‘But at the end of the fight I thought I’d done enough. ‘I believe I’m a better fighter than him and I could have shown it more. ‘I want an immediate rematch. I’d do it right now, I wasn’t blowing in there, my fitness was good and we need to do it again. Chilemba, who had woken on the morning of the fight with flu, started slowly and perhaps conceded the first three rounds. Having been implored by his trainer Buddy McGurt to hold the centre of the ring, the visitor began to take control as Bellew failed to impose his jab. Chilemba’s counter-punching style paid dividends, particularly during the middle rounds and while a draw was not an unfair result, I would have had no problems had the ‘underdog’ been awarded the decision. Both fighters immediately called for a rematch with Chilemba insisting he would not return to the UK. ‘I believe I fought the best I could,’ he said. ‘From the second round to round 12 I was on top of the guy. I didn’t think there was any chance he’d get the draw. ‘This result really disappoints me. This is one step away from a world title fight and I would really like a rematch. It could be in Japan or anywhere, just not in the UK. I want it as soon as possible. ‘I picked up the flu and I couldn’t breathe properly. Every time I stepped in my chest was burning and I couldn’t breathe through my nose. ‘I threw more punches, I was catching him with almost every punch I threw. ‘This is the most disappointing decision of my career. I knew that because I was fighting him in his backyard I had to be 10 times better than him and I believe I was. Light-heavyweight Tony Bellew suffered the agony of a draw last night in the sternest boxing test of his career since his world title defeat to Nathan Cleverly in 2011. Malawian Isaac Chilemba scuppered the Liverpudlian’s route to a guaranteed challenge at the World Boxing Council crown. In a fight which failed to ignite an expectant, partisan crowd, the judges scored the contest 116-112 to Chilemba, 116-115 to Bellew, and a 114-114 draw. "I can’t believe the scoring," said Bellew, from the ring apron. "What was the judge watching who scored it by four rounds to Chilemba? Even his own trainer, Buddy McGirt, one of the most respected trainers in the world, thought I had won the fight." The only consolation for Bellew is that he stays as the No 1 WBC challenger and may have to fight Chilemba again. Promoter Eddie Hearn said: "I had it very close. I thought he could have done more. On that performance, maybe he is not ready for the champion Chad Dawson. "Maybe he has to learn more. Chilemba is very clever, slick, fast, difficult to nail. He gave Chilemba the ring from the middle of the fight." That was spot on. McGirt later told The Sunday Telegraph that he "was happy with the draw". It was a low-key contest, The home fighter went after Chilemba, brought up in poverty in Malawi, from the opening bell, looking to create a pressure fight. Chilemba was bleeding from the nose after the first round, the pair coming together at the bell like two territorial stags. 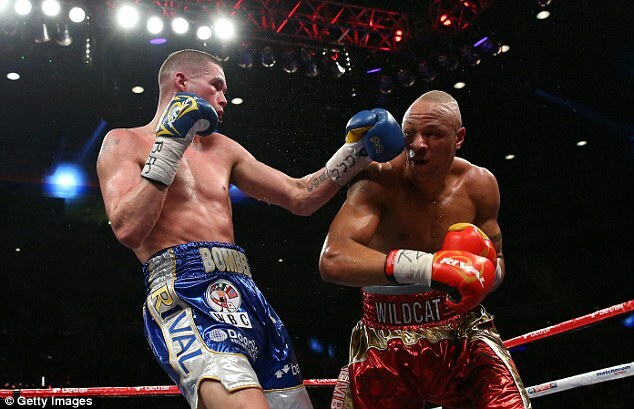 The African countered well in the second, as Bellew was more effective with his jab. 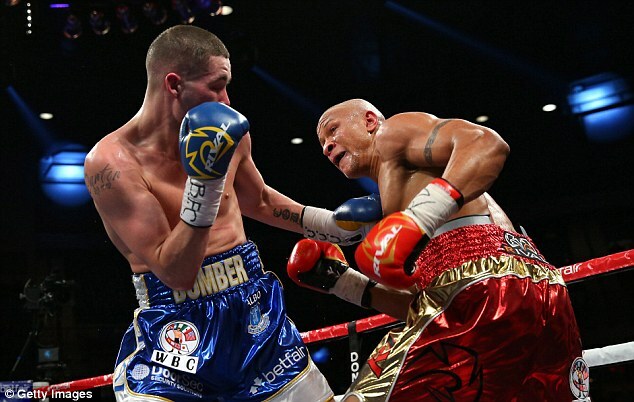 In the third, Bellew landed two solid rights, Chilemba one of his own, as he complained about the use of the elbow against him. But the first three rounds belonged to Bellew as he forced the pace. In the fourth, Bellew showed no respect for his opponent’s punches, caught several times on the counter, as he pressed forward. 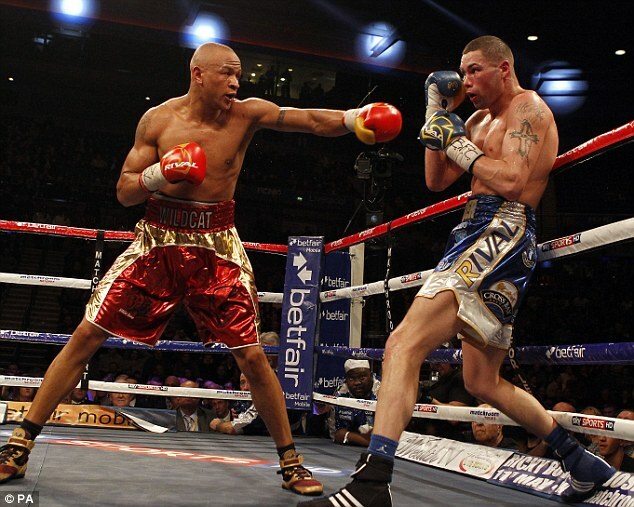 Chilemba was much more effective in the fifth, and busier in the sixth as Bellew stood off at range. 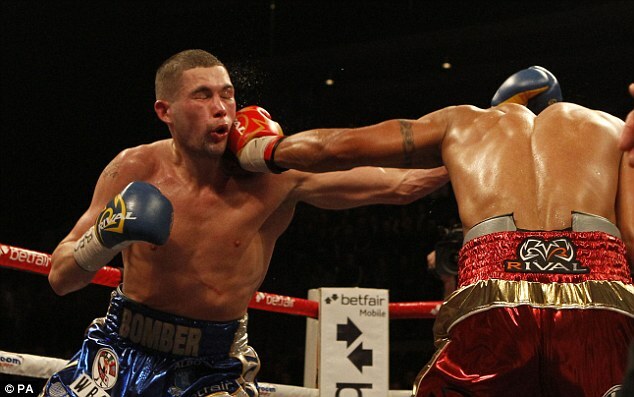 Bellew went on the attack late in the round, but was met by counters from the WBC No 3. "You can’t keep backing up, you can’t win like that," screamed trainer Buddy McGirt at Chilemba in his corner after the sixth. He followed the advice, pushing forward, commanding the ring with his jab. "Do that for the rest of the fight," yelled McGirt. "He can’t get past the jab." The accuracy of the African’s attacks improved, his confidence grew, and Bellew began to look ragged. They looked level after eight. The last four rounds were down to who wanted it most. From this seat, Chilemba eased away to shade the fight. Both fighters called for an immediate re-match. Chilemba insisted that he would like to fight again "on neutral ground, not Liverpool", while Bellew remained mystified by the scoring, but added that he "had learned so much" from the contest. "There really was so much more I could have done, and I can only blame myself for that," he said. Bellew moves to 19-1-1 in his career record, Chilemba to 20-1-2, his second drawn contest. Earlier, Derry Matthews drew with Anthony Crolla, 115-113, 113-115, 115-115 on the judges’ cards, in a battle for the vacant Commonwealth lightweight crown. Popular Liverpool fighter Matthews had stopped his Manchester rival to earn the British lightweight title in 2012. Police were in force in the Arena during the contest, separating supporters as fights broke out in the crowd. "We’ll just have to do it again," said Crolla afterwards. London 2012 Games bantamweight gold medallist Luke Campbell told The Sunday Telegraph last night that he expects to announce his next career move "in two to three weeks" with indications that he will join the professional ranks. "I can’t wait to get back in the ring, I’m missing it," he said. 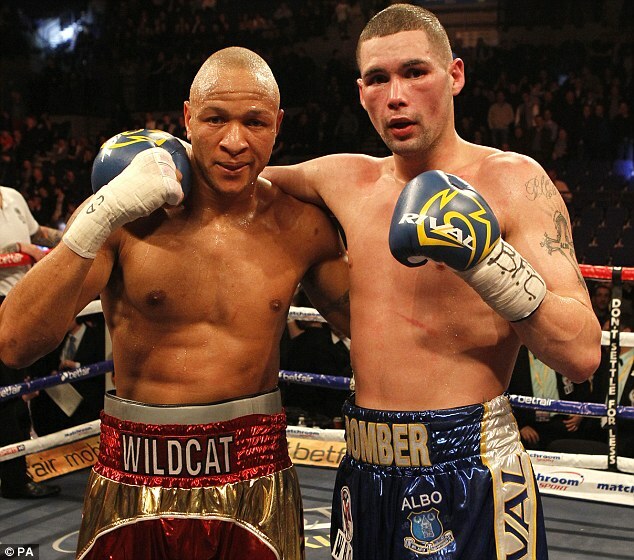 Tony Bellew drew with Isaac Chilemba in their WBC light-heavyweight title final eliminator. Bellew, the 30-year-old from Liverpool, knew a win would put him in position to take on American champion Chad Dawson. But he put in a laboured performance at the Echo Arena. "I thought I won nine out of the 12 rounds and even Chilemba's trainer, Buddy McGirt, one of the most respected men in boxing, told me he thought I won," said Bellew. "I've got a lot of time for Chilemba. He's a good fighter and a tough man but I won the fight." Bellew has rebuilt his career since defeat by British rival Nathan Cleverly for the Welshman's WBO title in 2011, his only loss in 20 previous fights. The Everton fan, watched by Toffees manager David Moyes in the crowd and entering the ring the club's Z Cars theme tune, started positively in an untidy first round, landing a solid early right hand to mark Chilemba's card before the pair had to be pulled apart after the bell. Chilemba's confidence grew as the fight went on but neither fighter landed a big shot. One judge scored it 116-112 for Malawian Chilemba, another 116-115 for Bellew and the third had it level at 114-114. Tony Bellew's hopes of a shot at the WBC light-heavyweight world title are in limbo after a controversial draw with Isaac Chilemba in Liverpool. 'The Bomber' was below his best as he dealt with an awkward opponent in front of a home crowd at the Echo Arena, but was still expected to be announced as the winner at the end of 12 rounds. However, he was only awarded victory by one point on one of the judges' scorecards, with another scoring it a draw at 114-114 and the third giving it 116-112 in favour of Chilemba. The contest was meant to be a final eliminator for Chad Dawson's title, but the identity of the American's mandatory challenger is still up in the air following the inconclusive result. "I'm going to be totally honest - I thought I won that fight. 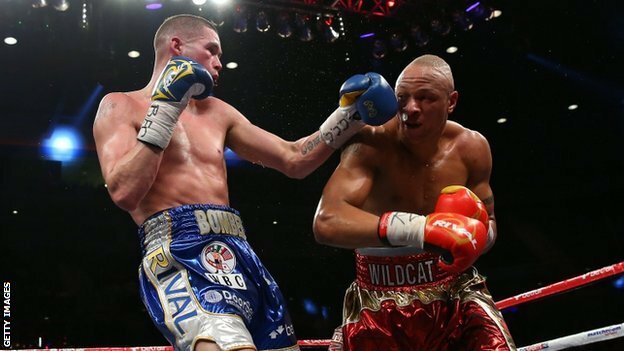 I thought I won nine of the 12 rounds," Bellew told Sky Sports after the bout. "I took a stupid round off in round six or seven and I let him gain a bit of momentum and get back into the fight. But I thought I won the fight. "Buddy McGirt (Chilemba's trainer) just told me, 'I think you got it'. That's a very knowledgeable man, a man I respect in boxing. His opinion was, 'going into the last round Tone, I think you got it'. I don't know what to say." Bellew started in typically aggressive style and had Chilemba backed up for the majority of the opening round, even getting a little physical after the bell following a stare down from his opponent. The home favourite continued to come forward and although he struggled to connect with many clean shots, his pressure gave the impression he was racking up a comfortable lead on the scorecards. After being read the riot act by trainer McGirt at the end of round six, Chilemba started to come forward and, during the middle stanzas, it was the Malawian who was producing all of the quality work. Bellew did put the pressure back on in the closing stages, but his aggression was not enough to swing the decision his way.